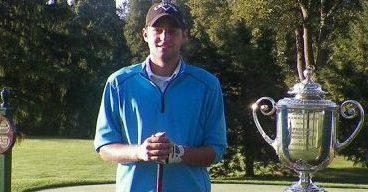 Dave Granata | Monroe County Golf Courses | Rochester | Go Golf U.S. Welcome to the 7th edition of “Meet the Pro”. If you missed our previous articles, let us quickly explain what/why we do it. A goal of Go Golf U.S. is to build a personal connection in the game of golf again. We want to help players get to know the courses, golf shop staff and Professionals. When we see familiar faces and can add a smile or “Hello”, it makes a better experience for all. So, to gather content for these articles, I (Alan Liwush) put the Pro’s on the hot seat for an interview to find out more about them to share with our Go Golf U.S. community members. Dave and I have known each other for years now via mutual friends. Our friendship grew to where it is today when my passion for golf lead to building the Go Golf U.S. app with Scott. Dave was one of the Pro’s at Webster Golf Club, so my time there drastically increased as we were in the development process of the app. With many hours spent in the golf shop working on the app, beverages shared at the bar and rounds played at WGC with him, I now consider him a great friend. 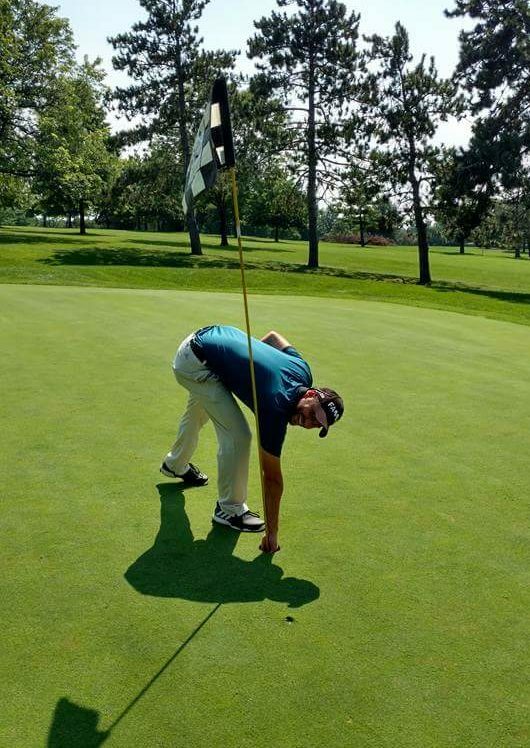 I was more than excited to get the opportunity to write this blog about him to learn more about his golf past as well as his future in his new position as the Golf Services Manager of the Monroe County Golf Courses. Without further ado, please enjoy this edition of “Meet The Pro” with Dave Granata. Dave got bit by the golf bug at the age of 9 when his step-father asked him if he wanted to try and play. Once he saw Dave swing, he knew he was going to be a decent player. From there, he started playing as much as his parents would let him. He even went as far as trying to build a putting green in the backyard as there was just enough room to hit a full gap wedge (I actually tried this as well but it never quite worked out how I envisioned it in my head). A majority of his time in middle school was spent hitting balls in my backyard chewing up the lawn. At 14, he went to Florida to visit his Grandfather for a golf trip. After a round with his grandfather one day, he overheard him telling someone on the phone, “this kids going to be a pro”. Ever since then, he didn’t want to disappoint. When he returned home, he joined the Penfield High School team and continued to play as much as he could. As of January of 2018, Dave is the Golf Services Manager for the Monroe County Golf Courses. These courses include Genesee Valley, Durand Eastman and Churchville. Prior to that, he spent 11 years with Webster Golf Club. As Head Golf Professional of WGC, learning the industry was his top priority after college. Teaching private, group and junior lessons was a big part of his position. Learning the “business” side of golf was a huge boost in his career and path in the industry. Dave still uses many facets of what he learned there today. Prior to WGC, his first job was at Midvale Country Club, where he started at 16. In a span of 4 years, he learned mainly outdoor operations along with the “Private” sector of the industry. In working at each of these courses, he gained knowledge in the Private, Semi-Private and now, Public sector of the golf business. Dave had the pleasure of working with John Graham at Midvale and Webster Golf Club. John has an unbelievable reputation as one of the best instructors in the WNY PGA Section. Having the ability to pick his brain throughout his career for tips was a blessing and all he learned really stuck with him. He says, “I’ve been really lucky to have been able to learn from such a successful instructor.” He also relies on his students for influence as everyone has a unique swing to them. Our conversation lead into resources for training like books and video. Unlike others Professionals, Dave gave some references to video with YouTube that he says is a great resource. 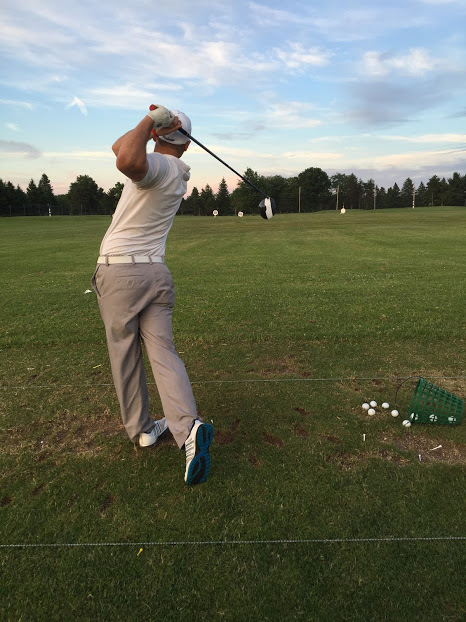 “Now a days with these videos being at your fingertips, golfers can learn so much. 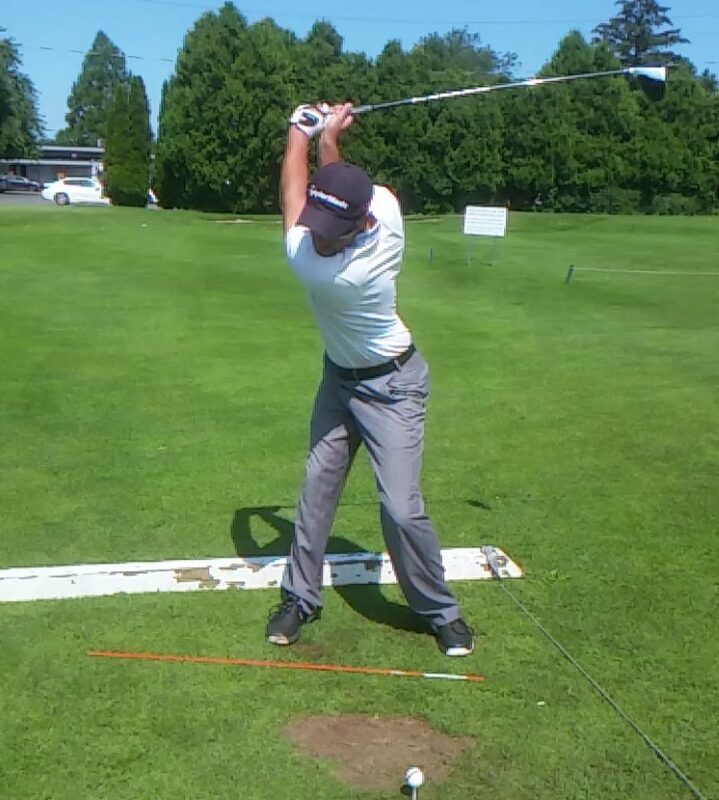 Many golf professionals will post their own instructional videos for free. Although they’re not player specific lessons, they can offer many tips and hints to try something new or correct a common flaw in that person’s game.” I myself, am a very visual learner and like to do research on how to fix things. Though at times I get information overload, I think it helps more than hurts. Dave recommends that a new player not try to teach themselves solely by video and obviously to hire a PGA Professional if trying to learn the game. I too love to spend time accomplishing home projects. Their is no way of describing the feeling of accomplishment after putting time and effort into a project and seeing it be appreciated by those around you. “A range finding device. Whether it’s a GPS, laser or App. This helps not only the individual’s game but also speeds up play.” I couldn’t agree more with Dave. I purchased a laser (model shown below) last year and it has been life changing! “A divot repair tool. No one likes to play on bumpy greens. I believe that when you’re playing, you should leave the green in better condition than you found it.” YES! It takes 30 seconds at most to repair a divot properly and most of the time we’re waiting on someone to hit on to a green or putt. Why not fix the green when your on it? Isn’t it our duty and responsibility as golfers to respect the course? FIX YOUR DIVOTS! We have listed below some links to great products Go Golf U.S. recommends on Amazon corresponding to Dave’s suggestions. Q: What golf book is your favorite, do you recommend to read or have you most gifted in the past? I will be adding that to my reading list! Currently, I’m reading “A Golfer’s Life – Arnold Palmer” but will be picking up this one next! Q: What’s your view on technology and golf. Two meanings to this – Equipment – Everyone is developing the “farther” is better approach and Electric/mobile tech – more phones, apps and such. When is enough, enough? Going along with what Dave said, I also recommend going and testing out irons for your optimal club selection. You may require a specific shaft stiffness or club head tweak that you won’t know unless you get fitted and test a bunch of clubs. Q: What’s your view on golf and fitness? Has this changed the game? Do you think it’s positive for the game? I agree with Dave. When I play now, I walk and believe it or not, it takes a lot out of you. Having a good fitness routine that won’t lead to injury or soreness but more stamina and flexibility will only help your game. Nothing beats a good day of golf, doing some light gambling, cracking a few bevs and hanging with the boys. Q: What’s one failure in golf you have experienced that set you up for future success. Can be in golf business, on the course or in life? 18 Holes Golf and Cart. Weekday - $30. Weekend - $31. With the Go Golf U.S. app, users can play for $15.50! Save 50% on your round! No restrictions, this is valid at all times! That wraps up this interview! Thanks for reading our 7th edition of “Meet The Pro” with Dave Granata. I really enjoyed getting to further know Dave as I do with all the interviews. I’m very grateful to call Dave a friend and wish him the best of luck in his new role with the Monroe County Courses. When you have the opportunity to, go play and any of the 3 courses, they’re great!